Bolt® Gutter Guards are the ultimate solution to alleviate your annual gutter problems. Each year homeowners spend a lot of time cleaning clogged and debris filled rain gutters. The answer to eliminating this dangerous task entirely is the complete Bolt® Gutter Guard System. With the best installers from Universal Windows Direct, and the best available gutter protection system from Bolt®, along with a 20-year product warranty, you can rest assured that you are getting the very best product on the market for the best market price. Never Worry About Gutter Cleaning Again! 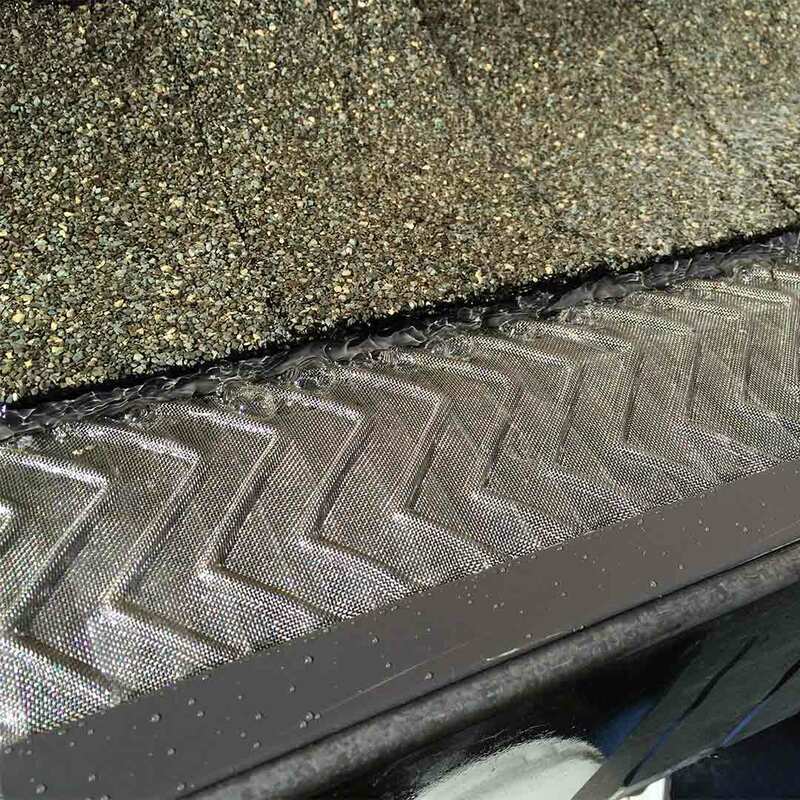 Bolt® Gutter Protection is designed with advanced micro-mesh technology to handle high flow water conditions and to repel leaf and debris off the gutter guard. The solid louver frame & raised Stainless Steel mesh will stand up to the heaviest rainfall, the punishing snow and ice, and the constant leaves and debris to provide your home the protection from these elements and all backed by a 20-year product and no clog warranty. Depend on Universal Windows Direct to install Bolt® Gutter Protection Professionally keeping you worry free and your home performing it’s best for years to come. Universal Fit on Gutters: Installs on the majority of rain gutters (5" or 6" in width) including curved, fascia, half round, K-style and OGEE. Fastens to the front lip of rain gutters with self-drilling screws. Life Saving: Bolt® Gutter Guards are installed by our expert, fully-licensed, fully-insured installers, keeping you safely off the ladder and off the roof. Sun & Weather Proof: Made of Stainless Steel Mesh and Galvanized-then-Painted Steel Frames, Bolt® Gutter Guards survive the harmful rays of the sun that destroy plastic and vinyl gutter guards in just year or two. Designed Tough: Bolt® Gutter Guards quality & design conform to 110 mph wind conditions, Class A fire compliant, and can hold over 225 lbs./sq. ft. of solid ice without damage.